Does the idea of Spring make you 'Jubilant'? So does our Featured Custom Floral Arrangement Of The Week! 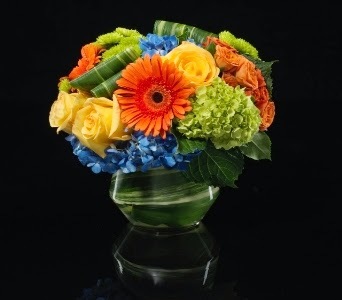 This bold design is filled with bright hydrangea, roses, gerbera daisies & kermit poms accented with loops of aspidistra leaves.